Stock photography websites specialize in maintaining user-generated stock of photos (and illustrations, videos, audio files); to drive the demand-supply chain of stock photos online. And they help you — the photographer — make money (the coolest part). Stock photography is one of the most effective mediums for photographers. They also help you make money online and provide you exposure as a photographer. They make an excellent marketing platform to the photographers too. 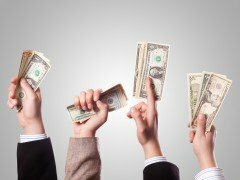 Check out the article on stock photography tips to learn how to make money with stock photography sites. Here are top 10 stock photography sites you should consider when offering your photographs for the stock sites. iStockPhoto: iStockPhoto is the choice of millions of people owing to the affordable prices and unexceptional quality of art work offered by the artists. It not only specializes in providing royalty-free photographs and images for various web projects and advertisements, it also offers vector illustrations, music, videos and sound effects to its clients. It provides an excellent platform to the photographers to build their own microstock and turn it into well-established online portfolio. It offers great deals to the clients starting at just $1 (or below). ShutterStock: ShutterStock claims to be the largest subscription-based stock photo agency in the world. It is an online community of 275,174 photographers, who come up with new and creative ideas which sell best as stock. The website offers thousands of royalty-free photographs, illustrations and vectors under various subscription plans to get started with. Corbis Images: Corbis Images follow the same pattern as Getty Images. It provides the images for creative as well as editorial purpose under royalty free license and rights-managed license respectively. Corbis offers images and other media files for advertising, marketing and media professionals through a comprehensive selection of photography, illustration, footage and typefaces. The best thing with Corbis is that it offers the searching tips to the clients to make finding the perfect image simple and easy. Getty Images: Getty images offer the stock of images, music and multimedia files that help the clients communicate the purpose / concept of the brand. This simple to use stock website enables you to get the desired stock in three simple steps — search, license and download; offering the stock of images and multimedia files under royalty-free license and rights-managed license. Getty Images is one of the best stock photography sites which provides creative images for editorial coverage as well. Dreamstime: Dreamstime is the place where one can easily find high quality images at minimal rates of $0.20 or free. The buying and selling of stock at Dreamstime gains the benefits of powerful photo community build around it. While the buyers and clients can get the images at minimal costs, it is a beneficial source of income for photographers also where the photographers can easily get 30-60% from each sale. Stock.Xchange: Stock Exchange is one of the leading free stock photography websites. Stock Exchange is now owned by Getty Images but still works on the earlier guidelines of providing the stock images free of cost. Stock Exchange is a friendly community of photography addicts who generously offer their works to those who need them free of charge. Freerange Stock: The other option for free stock photos is Free Range Stock, the stock photography website which requires you to just sign up for free for start downloading the images for commercial or personal projects. Freerange is an advertising revenue supported photographic community – photographers get paid when users click on the ads that appear next to their submissions. Fotolia: Fotolia is a hassles-free stock photography site which offers free images and royalty-free photographs at affordable prices starting at $0.75 per download (prices vary with file size). Fotolia had started with the aim to challenge the traditional closed agency model by offering the opportunity to monetize the talents of hobbyist or professional photographers (irrespective of the size of portfolio). Big Stock Photo: Big Stock Photo is a subsidiary of ShutterStock which works on the principles of iStockPhoto. It provides platform to the photographers to easily maintain their online portfolio by creating the microstock on Big Stock Photo. 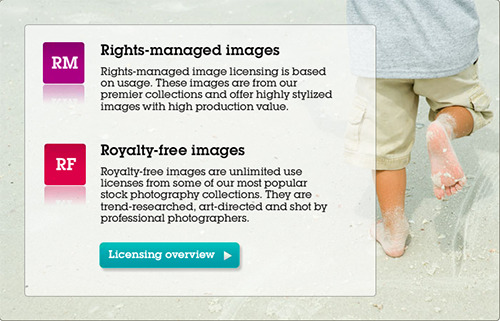 Along with royalty free images, it also offers the images under special licenses meant for some specific purposes. CanStock Photo: CanStock Photo is one of the microstock agencies online which works in favor of photographers. It allows photographers to submit their work (without any charges) and pay them depending on the subscription plan of the clients. CanStock Photos work in collaboration with FotoSearch (the leader in microstock photography), resulting in a better exposure for photographers and other contributors. Each stock photography site offer the guide (tutorial, graphic design tips and insight into what a client needs) to photographers. These stock photography sites are a great way to start counting on internet as an easy and convenient source of income for photographers. Which one do you use?